The Institute for the protection of Grappa of Trentino, from over 50 years, is responsible for the valorization, the protection and the promotion of the Grappa’s quality production, exclusively obtained from the grape marc produced and distilled in the Trentino region. 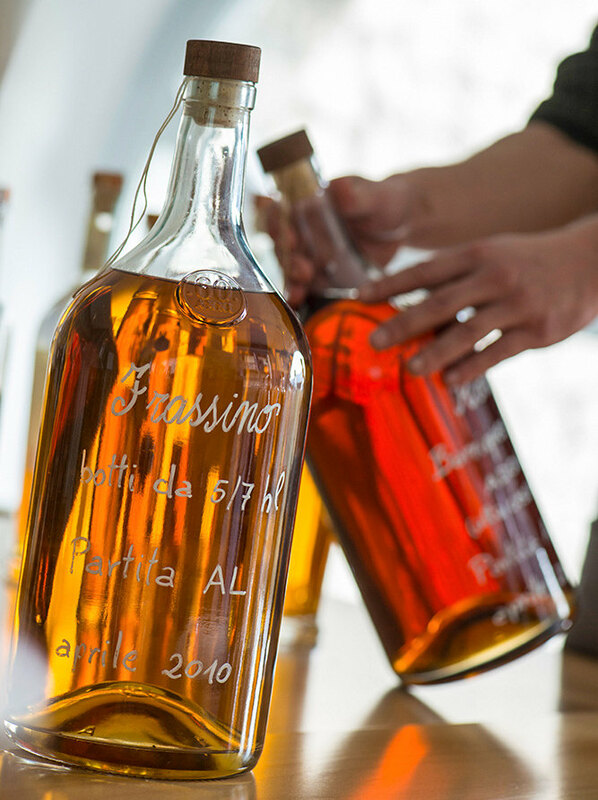 The Grappa from Trentino is a real art which is born from secular familiar traditions, handed down from father to son. Many different historical evidences allow us to track down the origins of the grape marc distillation: the documents discovered throughout the years attest the existence of “master distillers” already from the first half of the 19th century and they are as well the proof for the presence of distillates from Trentino at the Hapsburg court.A journey lasted more than two centuries and which has seen the emergence of the 30 distilleries that are nowadays in Trentino: artisans who keep their distillation’s secrets and who bring to the market the 8% of the entire annual production, thanks to the accurate selection of fresh grape marc as quality guarantee. Unique in its scents and smoothness, elegant and refined: the Grappa of Trentino is a product of many facets and it’s a real reflection of the territory where it’s produced. In order to highlight its exclusivity and quality, in the sixties it was born the Institute for the protection of Grappa of Trentino. The idea of the five founders (Bertagnolli, Pisoni, Sebastiani, Segnana and Bassetti) was to create a supervisory body to enhance the production, exclusively obtained form grape marc from Trentino, and to qualify these products with the Trident trademark, placed and identifiable on every single bottle. The Institute is built on self-discipline rules and strict controls, which make it an undiscussed quality guarantee, certified as well by the collaboration with external organizations, such as Fondazione March – Agrarian Institute of San Michele all’Adige, which constantly carries out chemical analysis in laboratories, and the Commission dedicated to the Chamber of Commerce of Trento, which takes care of the organoleptic tests. Around the firs half of the 20th century, at the dawn of a new era right after the Great War, in Trentino was born a new method to distillate.This system was named by the young man who invented it: Tullio Zadra. After a long time in the copper shop of a well known artisan of Calliano, Tullio decided to start his own business. He begun his new adventure creating some new advanced stills which leaded to a real revolution in the grape marc distillation industry. This innovation, result of a hard and passionated work, changed forever the world of the Grappa in Trentino and in the territory right outside the province. The stills “Tullio Zadra” keep the grape marc introduced in the boiler in a limited quantity, in order to guarantee a better extraction of the aromas and an excellent final result. The fundamentals of this technique follow the antique rules of the indirect heat source, the slow processing and the constant human supervision. It’s a batch method, which requires an extreme expertise and patience from the producer, who needs to adjust the temperature at their best to obtain a real fine product. Lambicar, to distillate in the dialect of the Trentino, means to carry forward the values of the tradition, the culture and the art in a territory of many facets, in order to realize true works of art, capable of charming and seducing the consumers aware of uniqueness. This method consists in a slow and quality processing, through which the master distillers expertly separate the precious essence of this product, “the heart”, from the “heads” and the “tails”. These are the principles and elements that the Institute for the protection of Grappa of Trentino strictly wants to preserve since the sixties.